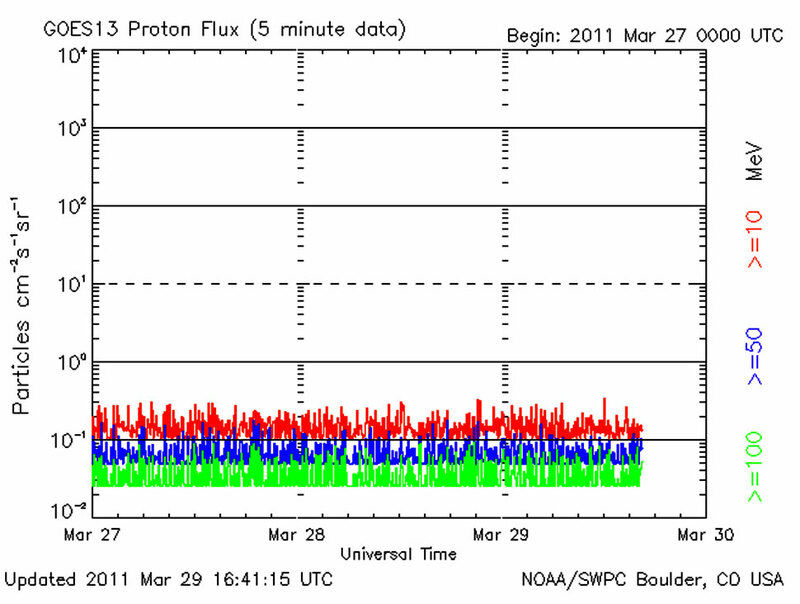 SWPC’s current GOES Proton Product can be seen by visiting this link. In the GOES-R era this product can be created based upon results from the GOES-R Solar and Galactic Protons product. The GOES-R Series Space Environment In-Situ Suite (SEISS) includes a sensor that measures solar and galactic protons present within the Earth’s magnetosphere. This product will form the basis for Spaec Weather Prediction Center’s (SWPC’s) solar radiation storm warnings. Humans exposed to large fluxes of these particles (astronauts, passengers/crews on high flying planes) can suffer biological effects. The storms can also cause blackouts of high frequency (HF) radio communication near the poles. The resulting last-minute rerouting of transportation can have substantial economic impacts. These particles also cause single event effects (SEEs) which can have either temporary or permanent effects on satellites and instruments. The total ionizing dose (TID) of these particles which equipment is subjected to also degrades performance and can reduce lifetime. Understanding the environment permits selection of parts and shielding to permit satellites to fulfill their mission.